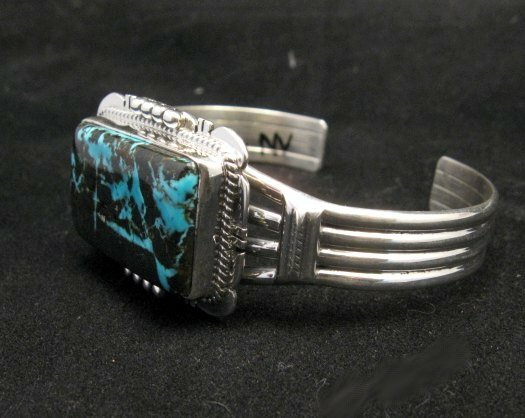 Here's a fabulous Native American handcrafted Sterling Silver bracelet, created by Navajo silversmith, John Nelson. 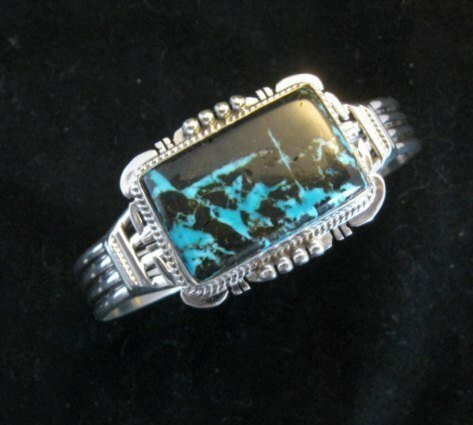 It has a natural Sunnyside turquoise stone. 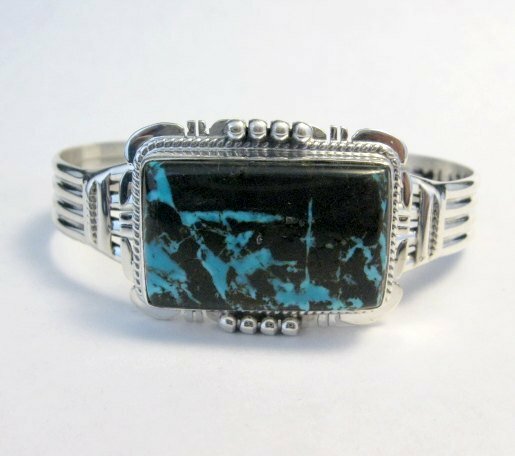 The rectangular stone is set in the center of the four-way split wire cuff and is mounted in a deep bezel surrounded with twisted silver wire and a carved setting. 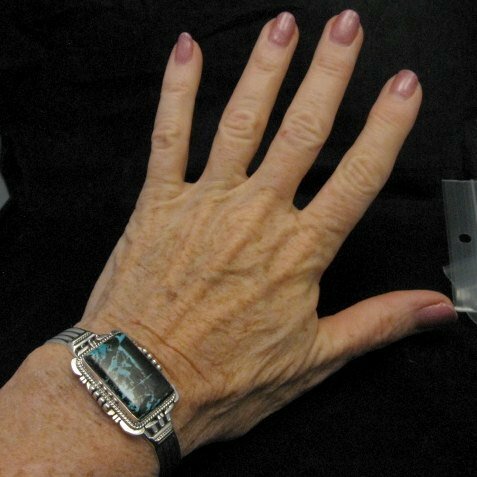 The bracelet measures 1 inch wide at the center and 3/8 inch wide at the terminals. It has an inner circumference of 5-3/8 inch end-to-end plus an adjustable opening gap of 7/8 inch. 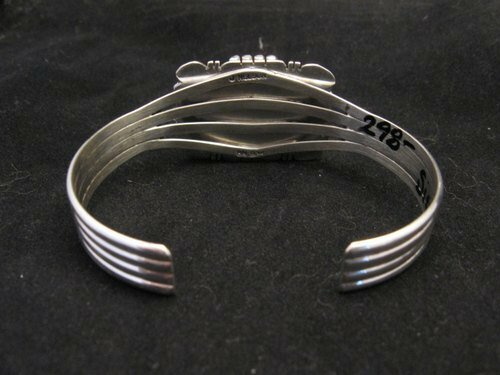 The bracelet can be adjusted to fit. Weight: 29 grams. Brand new and in perfect condition. 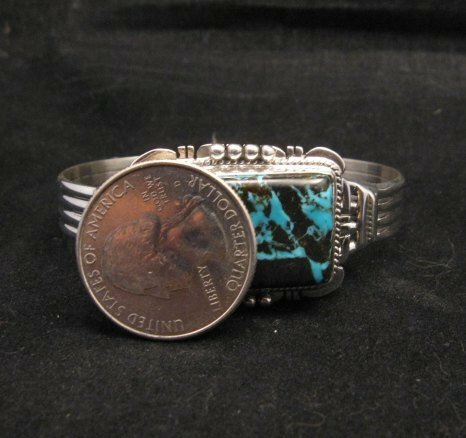 Created by Navajo artist, John Nelson and has his hallmark, J NELSON. Gift box and Certificate of Authenticity included with your purchase. The Sunnyside mine is located in northern Nevada near the town of Tuscarora in the Tuscarora mountain range. The mine is no longer in operation as it has become part of a gold mining operation and a privately owned ranch. The Sunnyside mine was mined mostly in the 70's. You won't find much of this great turquoise around anymore except for old stashes.